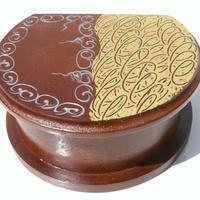 Half-Round wooden box h:6.5cm, d:14cm. 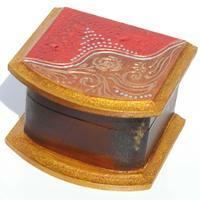 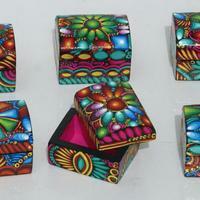 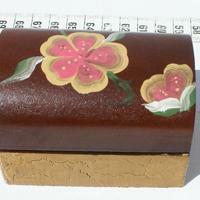 Wooden box with flower ornament, h:5.5cm, w:5cm, l:8cm. 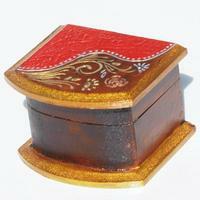 Wooden box, height 5 cm, width 7 x 8 cm. 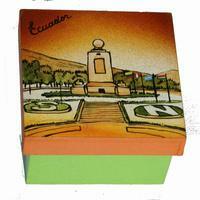 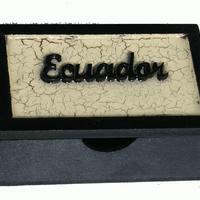 Wooden box with ethnic ecuadorian drawings. 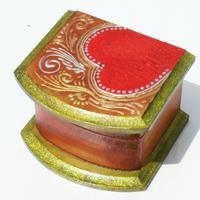 Size 8x8 cm, height 5.5 cm. 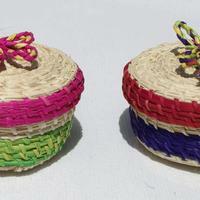 Small boxes hand woven of toquilla straw.